It's not too early to start Christmas baking is it? No? You're sure? Good. Tis the season to be jolly merrily baking as the carolers, I'm quite certain, will soon start caroling. I reckon as soon as the Christmas adverts have become water-cooler discussions, work Christmas do dates have been set and school assemblies are full of Nativity auditions then my festive biscuit cutters can be dusted down. Talking of Christmas adverts, one of my favourite (well, it is baking themed) is the Waitrose ad, which follows the story of Ellie, a school girl baking gingerbread for her school fete. As part of the campaign, Waitrose are calling on budding bakers across the UK to bake something sweet to share with others during this season of goodwill. To take part bake something special for a friend, share your photos using the #BakeItForward hashtag and nominate them to do the same. There is lots of great baking inspiration and festive recipes on the Waitrose website. Every day Waitrose will surprising people involved with festive treats, including hampers and bottles of champagne. As part of #bakeitforward Waitrose invited me to bake something special. 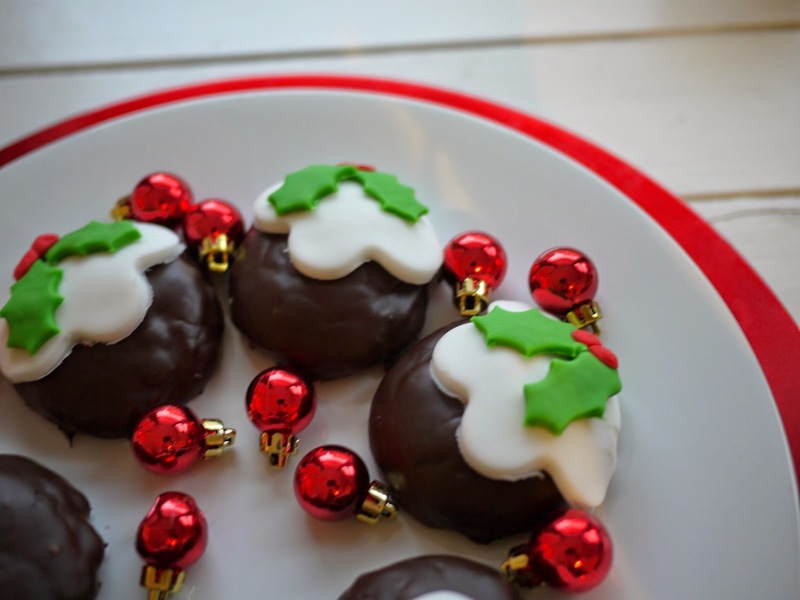 As if I need an excuse to bake some Christmassy treats! 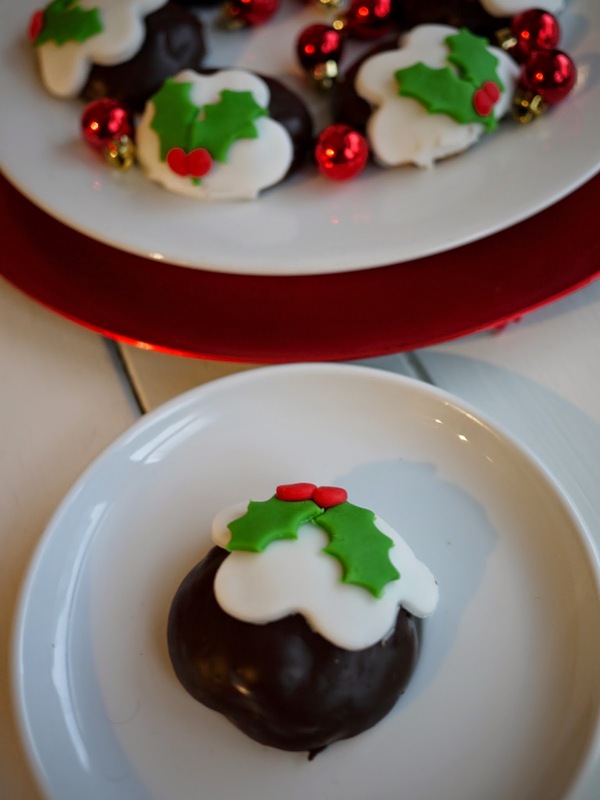 I baked these warmly spiced Christmas Pudding biscuits, studded with boozy dried fruit and covered in indulgent dark chocolate for my sister, who loves Christmas just as much as I do! 6. Once cooled, dip into the melted chocolate and place aside to set. 7. 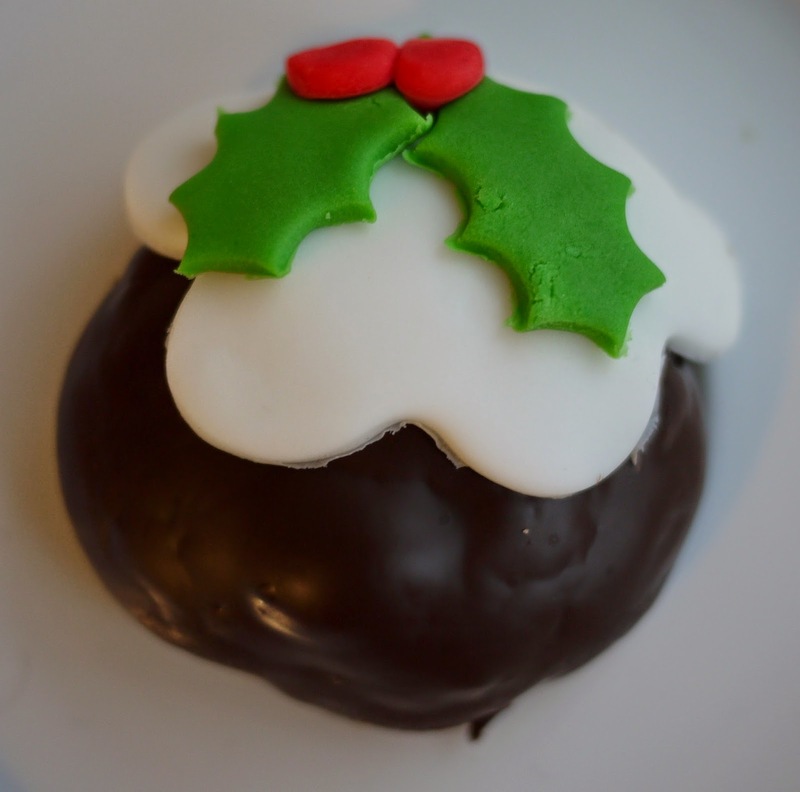 Use a daisy biscuit cutter to cut out the 'Christmas Pudding brandy cream' decoration from the white icing. Using a small holly cutter, cut two holly leaves for each biscuit. Form two small berries out of the red icing for each biscuit. Continue, until all are decorated. A good idea to bake for someone else - reduces the need for larger garments before the festive eating season really hits. these look so cute. These are so cute! Very impressive decorating. 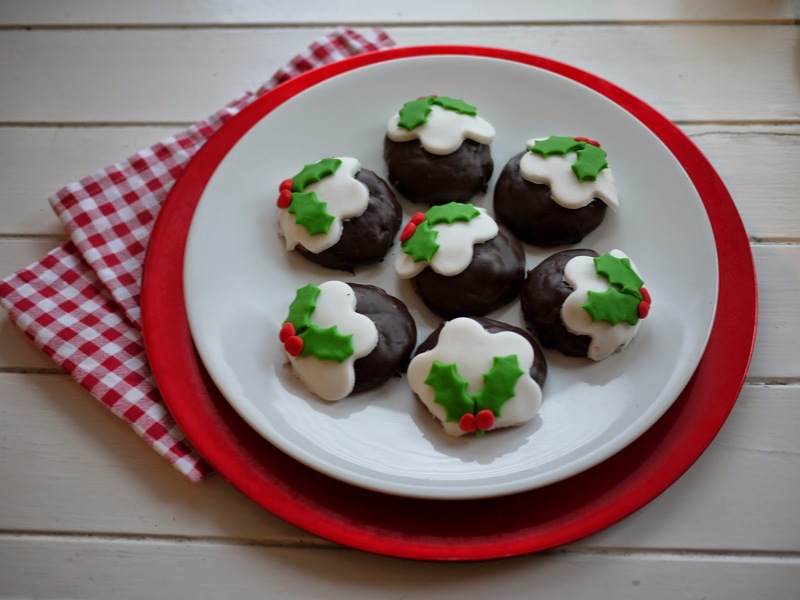 These look wonderful Kate and would look fantastic on the Christmas tea time table or at any festive party come to that!